Restricted to a very small area in Florida and Georgia, USA where its dwindling population faces a number of threats, the most serious of which is a canker disease caused by Fusarium torreyae. Restricted to a few ravines along the east side of the Appalachicola River in northern Florida and southern Georgia. 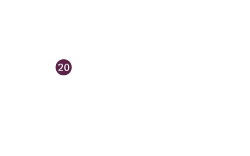 Its total extent of occurrence is estimated to be about 200km² with an area of occupancy under 50km². The current population is estimated to be between 500 and 600 'trees'. 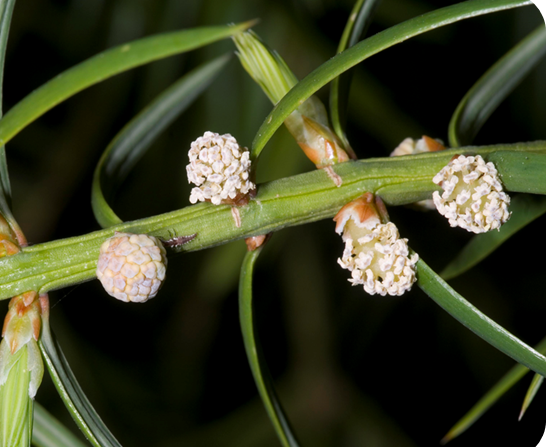 Of these, less than 10 are known to produce male or female cones (this species is dioecious). Individuals persist as stump sprouts. Before the start of the decline in the early 1950s, the population was estimated to have been more than 600,000. Since then there has been a decline of more than 98%. Torreya taxifolia occurs along limestone bluffs on the Appalachicola River in a region with a warm and humid climate, occasionally influenced in winter by cold waves from the north that dip temperatures below the freezing point. It grows mostly in the shade of wooded ravines and steep, north-facing slopes under canopy of Fagus grandifolia, Liriodendron tulipifera, Acer barbatum, Liquidambar styraciflua, Quercus alba, and occasionally pines (Pinus taeda, P. glabra). Often these woods are hung with vines (e.g. Smilax spp., Bignonia capreolata). Another rare conifer, Taxus floridana, occasionally grows with Torreya taxifolia. In the 20th century Florida torreya was extensively harvested for construction material, river boat fuel and for use as Christmas trees. After 1950, it became too rare to be utilised. 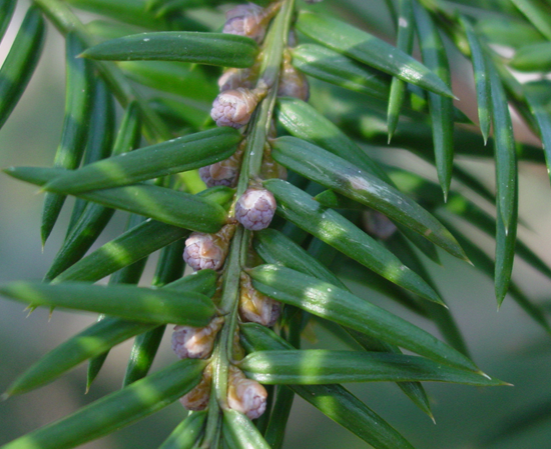 The estimated 98% decline in mature individuals within the last three generations means that Torreya taxifolia meets the criteria for Critically Endangered under Criterion A2. The actual causes of the decline (the death of individuals and the reproductive failure associated with infection from a range of pathogens, especially Fusarium torreyae) is not well understood: recent surveys indicate it is continuing. The decline may be reversible in the future if those causes can be controlled. The most significant current threat to T. taxifolia is the continued reproductive failure associated with fungal pathogens. Individuals do not reach reproductive size before being top-killed. Recent research has identified a previously unknown species of Fusarium (Fusarium torreyae) that has been shown to be the cause of the cankers (Aoki et al. 2013). Rubbing by deer is an additional problem as it causes physical damage and may also be a vector for disease transmission. Changes in landuse and fire regimes in surrounding areas along with changes in hydrology and soil chemistry linked to the construction of dams may also be implicated in its historical decline. An increasing dominance in fire tolerant species within the ravines is likely to increase the risk of fire in the future (Mola et al. 2014). 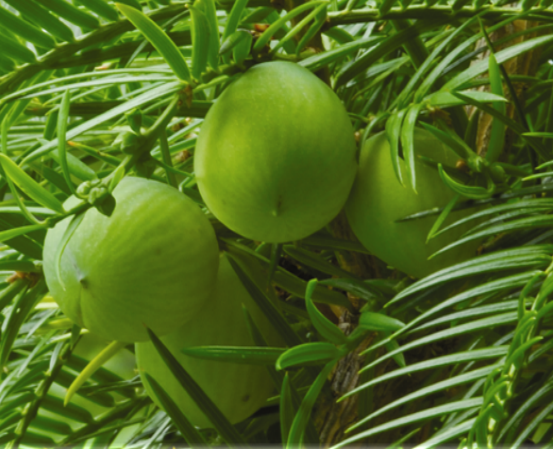 Augmentation plantings within the natural range have proved to be susceptible to infection: no naturally resistant clones have been identified to date. Population viability analyses indicate that extinction within its native range is inevitable. Torreya taxifolia has been the focus of extensive conservation interventions. The majority of its range lies within protected areas. Regular census' are carried out to monitor the state of the remaining trees. An ex-situ programme was initiated in the 1980s and clonal collections have since been established in several areas away from its native habitat. Some reintroduction work has been attempted within its natural range but this has not been successful to date. T. taxifolia was listed as federally Endangered by U.S. Fish and Wildlife Service in 1984. A recovery plan was formulated in 1986 and has recently been reviewed and updated (U.S. Fish and Wildlife Service, 2010). An independent private initiative, the Torreya Guardians, has established ex-situ planting outside of its current range as far north as North Carolina. Schwartz, M., Hermann, S. & van Mantegm, P. (2000). 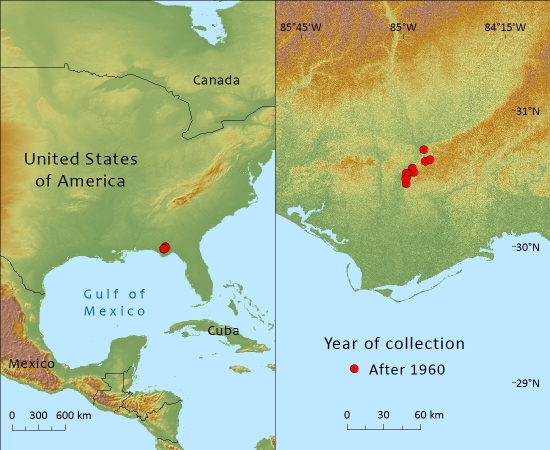 Estimating the magnitude of decline of the Florida torreya (Torreya taxifolia Arn.). Biological Conservation 99(1): 77-84. Schwartz, M., Hermann, S. & van Mantegm, P. (2000). Population persistence in Florida Torreya: comparing modelled predictions of a declining coniferous tree. Conservation Biology 14(4): 1023-1033. Schwartz, M., Hermann, S. & Vogel, C. (1995). The catastrophic loss of Torreya taxifolia: assessing environmental induction of disease hypotheses. Ecological Applications 5: 501-516. Schwartz, M.W. & Hermann , S.M. (1992). The continuing population decline of Torreya taxifolia Arn. Bulletin of the Torrey Botanical Club 120: 275-286. Schwartz, M.W. & Hermann, S.M. (1993). The population ecology of Torreya taxifolia: Habitat evaluation, fire ecology and genetic variability. Final report. Nongame Wildlife Programme, Florida Game and Fresh Water Fish Commission, Talahassee, Florida. U.S. Fish and Wildlife Service. (2010). Torreya taxifolia; Florida Yew. 5-Year Review: Summary and Evaluation. U.S. Fish and Wildlife Service Southeast Region Panama City Field Office, Panama City, Florida. Aoki, T., J.A. Smith, L.L. Mount, D.M. Geiser & K. O'Donnel (2013). Fusarium torreyae sp. nov., a pathogen causing canker disease of Florida torreya (Torreya taxifolia), a critically endangered conifer restricted to northern Florida and southwestern Georgia. Mycologia 105(2):312-319. P. Thomas,T. Spector,and R. Determann, 2016. Torreya taxifolia, from the website, Threatened Conifers of The World (http://threatenedconifers.rbge.org.uk/taxa/details/998).